 The Colorado Concealed Handgun Permit Class Level I is a four hour comprehensive class on handgun safety, handgun actions, ammunition and Colorado Concealed Handgun Permit Laws. The class is designed for all levels of shooters. Our class includes discussion on the laws for concealed carry and the use of deadly force. This class stresses the responsibilities of the concealed carry permit holder, safe pistol techniques and different methods of carrying. Completion of this class will give the student a completion certificate necessary when applying for a Colorado Concealed Handgun Permit. You will know the safe handling, loading, and unloading of revolvers and semi-automatic pistols before class is finished. You do not need to buy a gun for class, you will be taught how to pick a gun for self-defense. Colorado Law does not require live fire shooting for a permit, but we think it is important. 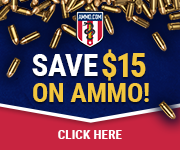 This class also includes one hour of live fire training with an Instructor that is a Double Distinguished Expert in Semi-Auto Pistol and Defensive Pistol 1 with the NRA at no additional charge, many times scheduled on a different day. Many people like to practice the skills they have learned in class, or purchase a handgun before the live fire session. This is a fun way to learn an important skill, the format and content of this class make it like no other offered in this area. Don’t be fooled by classes that do not give you the information you need to keep yourself and your family safe and out of trouble. This class provides information that other instructors are not teaching. Rick Sindeband has a substantial background in firearms and has hundreds of hours of training in many areas. Many Instructors in Southern Colorado do not have the credentials and are not certified in Personal Protection In and Outside of the Home and the Advanced Pistol Instructor Rating. Don’t risk your freedom or your life on inferior training. is a fun class and everyone from the beginner to the advanced shooter will enjoy the format of this class. Sign up for class and let us know when you want to take it. Our schedule is flexible. This Class meets all the requirements for a Colorado Concealed Handgun Permit. Our class instructs you on the process to get your permit. That way it is a smooth process for you to apply. 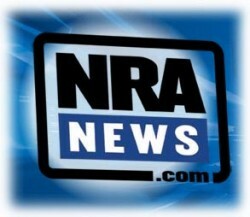 1 Take a training course in firearms. Your county sheriff’s department can provide you a list of qualifying courses our course qualifies you for this permit. 2 Fill out the application form from your county sheriff’s department but do not sign it. You can download it and an information packet at http://www.sheriff.co.pueblo.co.us Take it back to the county sheriff’s department when you go for your appointment and sign it before the sheriff. 3 Submit the permit and fingerprint fee. The permit fee is determined by the sheriff. The fingerprint fee is determined by the FBI. Neither fee is refundable if your permit application is denied. 4 Provide your training certificate, photograph, and fingerprints. The sheriff’s department will take your photograph and fingerprints when you submit your application. 5 Show a valid Colorado driver’s license or military ID. You will also need to pass a criminal background check. Your permit will be good for five years. A renewal fee is charged after that period. 6 Receive a temporary emergency permit if your life is in immediate danger. An emergency permit is good for 90 days. Applicants are responsible for the permit fee and the fingerprint fee. Do not do this unless you talk to me!!!!! !